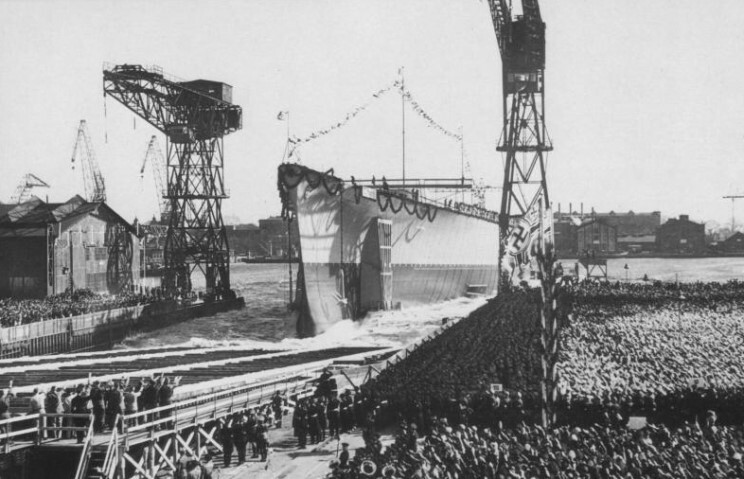 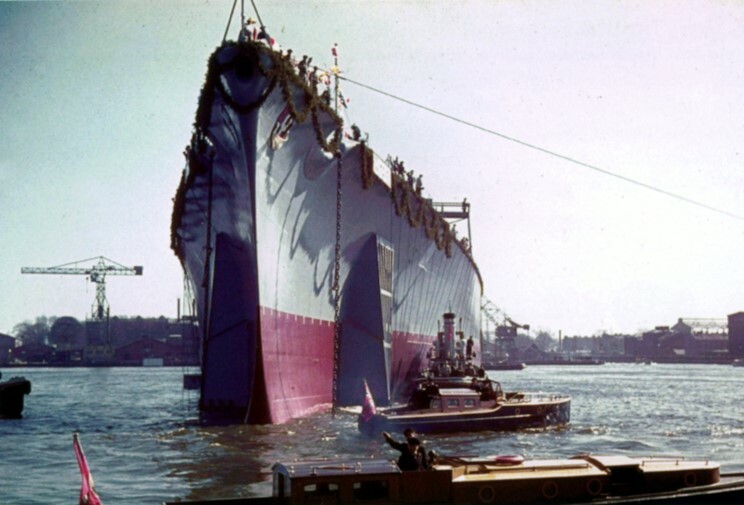 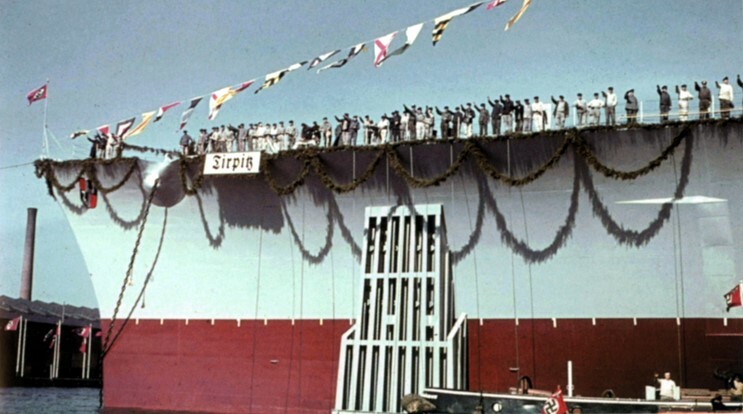 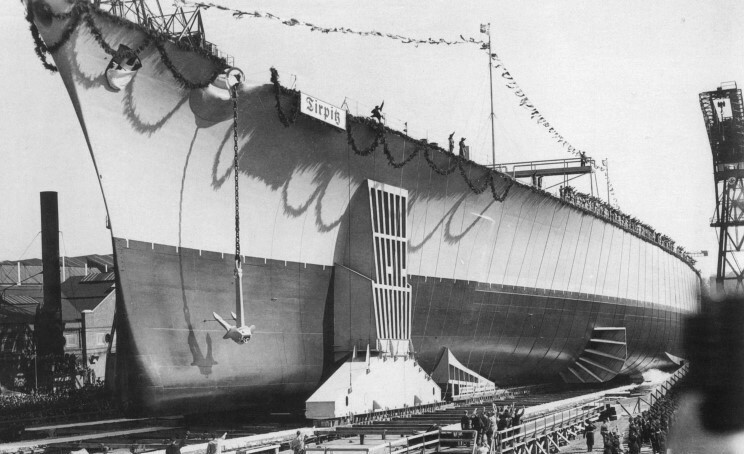 April 1, 1939: launch of the Tirpitz at Kriegsmarine Werft Wilhelmshaven, Germany. 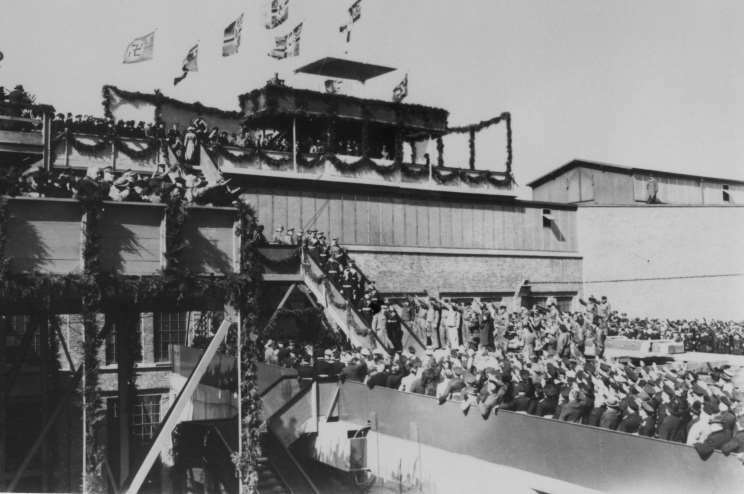 April 1, 1939: Adolf Hitler, Grossadmiral Erich Raeder and other high ranking Nazi party members (including Hermann Göring) departing the stand after the launch of the Tirpitz. 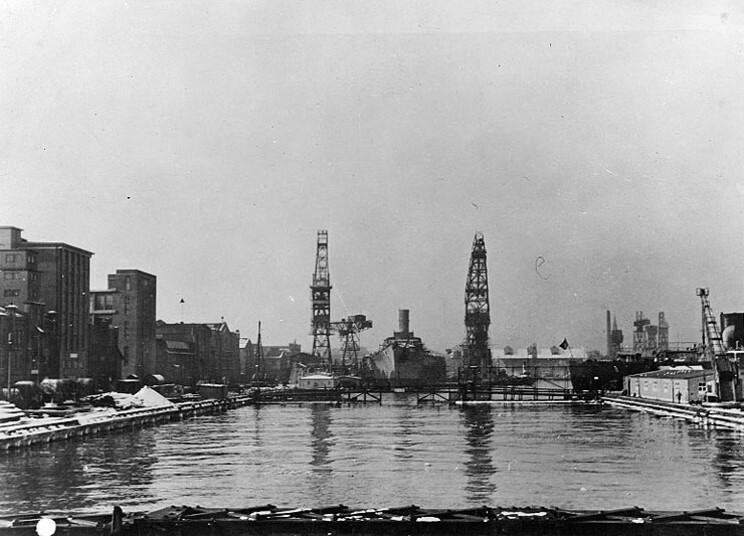 February 1940 Tirpitz fitting out at Kriegsmarine Werft.